Attorney General and Legal affairs Minister, Basil Williams SC. Guyana is yet to clear several hurdles before it can establish a local law school because no such approval has ever been granted by the Caribbean’s Council of Legal Education (CLE), well-placed sources said Sunday. Indications are that as far back as September, 2002 the CLE had decided to establish a Law School in Guyana, but approval is still to be granted because Guyana has not yet submitted a feasibility study to ensure that Legal Education Certificate (LEC) will meet the Council’s requirements. Contrary to Williams’ repeatedly stated view that the CLE had given the green light for the Joseph Haynes Law School, the sources said he had agreed to the position that the establishment of law school in Guyana was “engaging the attention” of the CLE, instead of it being “approved” by that body which is the quality and standards gatekeeper for the legal profession in the region, sources said Sunday. That position, sources said, was reached after concerns had been raised by top CLE decision-makers at a meeting in Jamaica about Williams’ inviting them to a media launch of the Joseph Haynes Law School back in January 2016 which had been purportedly approved by the Council. The sources also said since September, 2017 Attorney General Basil Williams has not yet informed the Trinidad-headquartered CLE who would make up his committee to meet with the CLE’s already named committee to hold discussions. 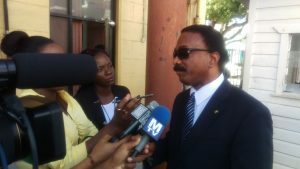 With regards to the criteria that Guyana has asked for to conduct the feasibility study for setting up the local law school, sources said the CLE has informed Williams that the model being used by the University of The Bahamas, formerly the College of The Bahamas, to offer a Law Degree should be applied by Guyana to craft its feasibility study. Attorney General Williams has said joint venture partners- University College of the Caribbean (UCC) and the Law College of the Americas (LCA) – have been working on the feasibility study. According to the experts, the Council also needs to know the credentials of the UCC and the LCA that will be conducting the study. The CLE has taken a decision in principle that no more Law Schools should be opened in the region because member states were yet to pay up huge amounts of outstanding contributions and the Council was not prepared to sacrifice quality for having more such institutions. In that regard, the sources said Guyana would have to assure the CLE in its feasibility study that it has the capacity to fully fund the proposed Joseph Haynes Law School. 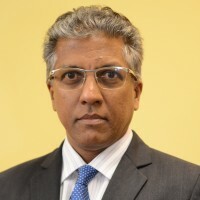 Attorney General, Basil Williams is on record as expressing concern about the manner in which Council Chairman, Senior Counsel Reginald Armour has been handling the situation and suggesting that the head of that regulatory body has been acting under the influence of former Attorney General and Minister of Legal Affairs, Anil Nandlall of the opposition People’s Progressive Party in handling the law school issue. Williams has gone as far as suggesting that Caribbean Community (Caricom) leaders could be asked to examine the future of Trinidad and Tobago Senior Counsel, Reginald Armour who was appointed CLE Chairman in September, 2016. Armour has since issued a statement, saying that the issue concerning decisions of the Council with regards to the establishment of the Law School in Guyana has been placed on the agenda of the Council’s Executive Committee scheduled for early February in Barbados. Armour has since asked Attorney General Williams to say whether he had uttered such statements reported in the media. “On behalf of the Council I have meanwhile also written to the Honourable Attorney General of Guyana with the request that he confirm the accuracy of statements attributed to him and, we await his reply,”said Armour. Williams has said that a plot of land has been identified at the Turkeyen Campus of the University of Guyana to build the Joseph Haynes Law School. The Council of Legal Education includes mainly the Chief Justices, Attorneys General, Presidents of Bar Associations, Deans of Faculties of Law, a representative of the Bursary of the University of the West Indies and Principals of the Hugh Wooding, Norman Manley and Eugene Dupuch Law Schools. The Executive Committee of the Council of Legal Education is made up of the Attorneys General, the Finance Department and the Principals of the Law Schools.